Jeff has been servicing Volkswagens at this location since 1980. Welcome to Jeff’s Import Autowerks, specializing in Volkswagen repair. Jeff’s is located in Garden City, Idaho. 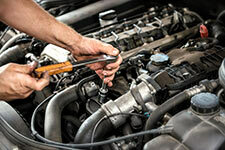 At Jeff’s, we are committed to providing the best in automotive repair and maintenance. Our dedication to honesty, quality training, and customer service has earned our shop many satisfied and loyal customers. Jeff’s Import Auto offers the best in complete automotive diagnostics, fuel injection and transmission service, electrical system repair and maintenance, and is an authorized emission re-test station. We also offer free OBD code scanning when your check engine light comes on. At Jeff’s our “Personal Guarantee” is that every vehicle repair, maintenance, or detail performed will meet customer satisfaction 100%. Feel the difference. Your automobile will appreciate it.